Hanlan School No. 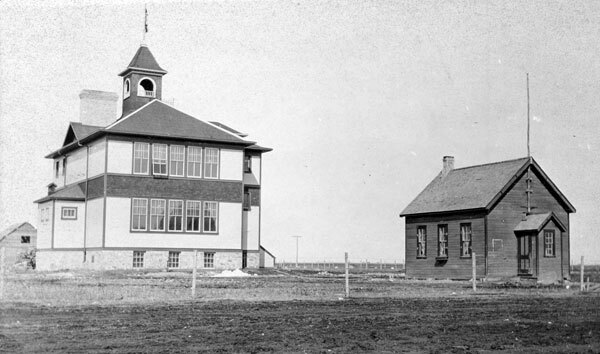 740, later renamed Warren School, was established in Warren, in the Rural Municipality of Woodlands, in March 1893. As the population of the area grew, there was increasing need for a larger building. 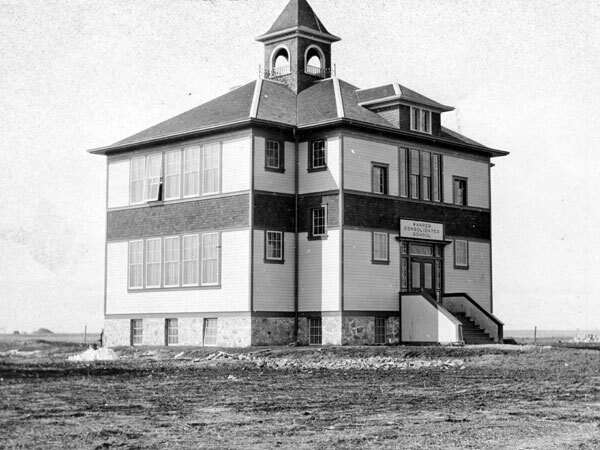 Warren Consolidated School District was formally established March 1910 and a two-storey frame building was designed by architect R. L. Smith and erected by M. S. Peacock next to the Hanlan/Warren School. It opened for classes on 5 September 1911. The building had four classrooms and a full basement with playrooms for girls and boys. All grades were taught, including high school, drawing students from an area of some 55 square miles, including those who formerly attended Meadowlea School No. 41, Hanlan School, and Invicta School No. 1084. An opening ceremony, attended by Minister of Education G. R. Coldwell, was held on 10 November 1911. The school burned to the ground on 19 November 1956. Among the other teachers of Warren Consolidated School was Maude Peacock (1912-1914). Source: Archives of Manitoba, School Inspectors Photos, GR2664 C65. “Tenders,” Manitoba Free Press, 10 September 1910, page 7. “That Warren School contract,” Manitoba Free Press, 10 April 1911, page 5. Manitoba Department of Education, Departmental Report for 1911, Inspectorial Division No. 17, page 105, Legislative Library of Manitoba. “May replace burned school at Warren,” Winnipeg Free Press, 23 November 1956, page 19. We thank Susan Shaw, Nathan Kramer, and Gordon Booth for providing additional information used here. This page was prepared by Jim Burns and Gordon Goldsborough.